An introduction to the Infinite Banking Concept and how to Become your Own Banker. Learn to setup and use your own Self-Financing System. Tomas McFie, DC, PhD has always been a lover of truth and an “outside the box” thinker with an acute desire to help others. Over the years he founded, owned and operated four different chiropractic clinics in three different states. After reading the book, Becoming Your Own Banker by R. Nelson Nash, Tom became fascinated with the Infinite Banking Concept (IBC) and immediately began to implement the process with both his personal and business finances. 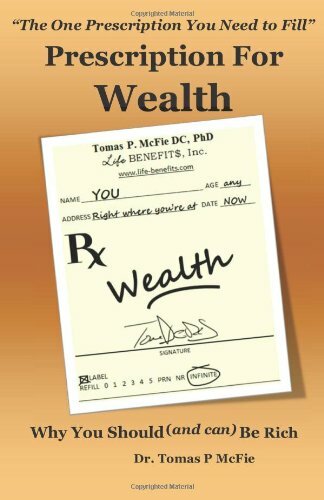 Completely captivated by the concept, Tom was inspired to expose the myths surrounding money by teaching others about privatized banking and its message of empowerment. His passion to provide specialized coaching led him to co-found Life Benefits, Inc., and he soon retired from clinical practice. He lives in Salem, OR with his wife Michele and their eight children who are dedicated to helping him fulfill his mission.